As I thought about his struggle, I also thought about a new “crime and justice” related book that I was sent to review, The Skeleton Crew: How Amateur Sleuths are Solving America’s Coldest Cases by Deborah Halber. It’s an interesting look into the world of amateur investigation and crime-solving, especially related to cold case homicides. As I read through the book, I found that it contained some interesting lessons for us all. 1. There are THOUSANDS of unidentified-yet-not-forgotten bodies in morgues and graveyards around the country. Now, this may seem like a no-brainer, but we forget…and we forget the significance of this statistic. Think about the statement by Roger, then think about the thousands of family members and friends who have no idea where their loved ones are. This book isn’t simply about murders, or even unsolved murders. It’s about murders or unresolved deaths of people like “Tent Girl” and “Lady of the Dunes” – bodies found with no clear identity. On our end, they are often just another case except perhaps for the primary officer or investigator who takes a personal interest. On the other end, they are someone’s brother, sister, father, or mother. They are a wound that never heals, a pain that isn’t resolved, and a hope deferred that the Bible says makes the heart-sick. And there are thousands of them all around us that have occurred throughout recent history. 2. They deserve our undying commitment to compassion, excellence, and professionalism. Every person is created in the image of God. Each one has value, and each one is loved by someone. Those points alone should be enough motivation to always do our best. I’m not implying that anyone out there would intentionally flaw a case or contaminate a crime scene. But do we treat every case with the same commitment to detail, compassion, and professionalism? Do we treat each case – whether a homicide or a petty theft – as if it involved our loved one? Once “Tent Girl” was identified – decades after her body was found, her sister expressed such appreciation for the care of her remains that she became an assistant coroner. There is lasting value in treating others with value. 3. Real life crime isn’t like television dramas. 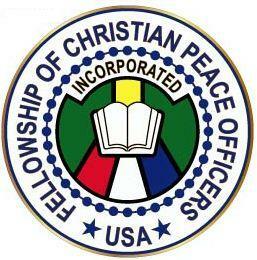 I teach a class on the nobility of the calling to serve in law enforcement. I begin by looking at popular media portrayals of our profession and what it is that we do. I talk about how public perception is formed from these portrayals, which often leaves the public disillusioned and dissatisfied with our abilities. In return, we become cynical and sarcastic. In real life, crimes aren’t solved in a 30 minute or one hour segment. In real life, we don’t always have DNA, fingerprints, eye-witnesses, and twelve camera angles. We don’t have geniuses sitting in a technology center waiting to retrieve any detail from perfectly constructed databases. In fact, those networks and databases or technology don’t really exist, are too expensive and unavailable, or don’t function the same in real life. And we know this. That’s why my next point is so significant. 4. There is value in partnering with the community to resolve issues and solve crime. We can’t solve all the crime by ourselves. In fact, these crimes aren’t about us anyway. We’re here to serve others and bring some sense of resolution to them. When our knowledge, leads, and resources are so limited, why do we refuse the assistance of others? Why do act like “civilians” are so inferior to our superb investigative skills? I get the fact that we don’t want to compromise investigations or damage the case for prosecution. But what’s wrong with extending the olive branch and asking for help from the community? This book talks about the strained relations throughout the years that have played out in varying ways as “amateur sleuths” have attempted to enter into the world of crime solving. These amateurs – like Florida hotel developer turned America’s Most Wanted television host John Walsh – have pushed for advancements in technology or communication. They have solved cases and reconnected families. And at times, they have served as educators to the law enforcement community. There is still much for us to learn, and plenty of work out there. All of us – cop or not – have a “nosy” side that is interested in investigation. The plethora of television programs related to crime, justice, and policing wouldn’t exist otherwise. And for those who might be interested in taking it beyond the job or the favorite primetime program, this book is a great start. Now that I’ve read it, I’m giving it away. If you’d be interested in reading it, like our Facebook post for this article at www.Facebook.com/CoveredLawEnforcement and you will be entered to win it and a few other Covered LE logo items. *By the way, I was not compensated for this review and have no vested interest in its sale, review, or book giveaway. I simply thought it presented an opportunity to share some interesting lessons related to compassion, integrity, and professionalism, and that some of our readers might be interest in the book. 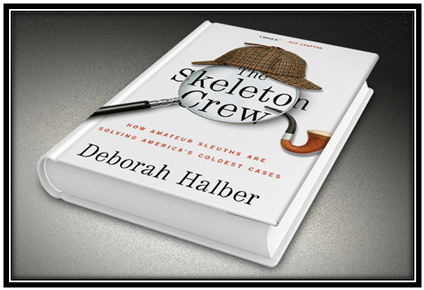 This entry was posted in Book Reviews and tagged amateur sleuths, book review, book sweepstakes, cold cases, Covered Law Enforcement, Crime, crime and justice, Deborah Halber, investigation, policing, policing issues, The Skeleton Crew. Bookmark the permalink.